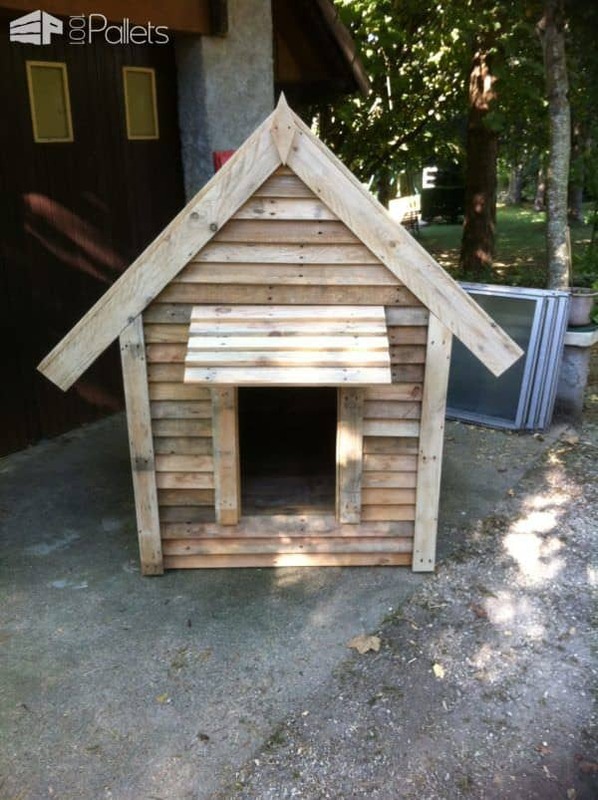 We love our pets, and they deserve the best, like this absolutely adorable, cozy, Delightful Pallet Doghouse. It measures 100cm x 100cm (approx. 39.5" x 39.5"). 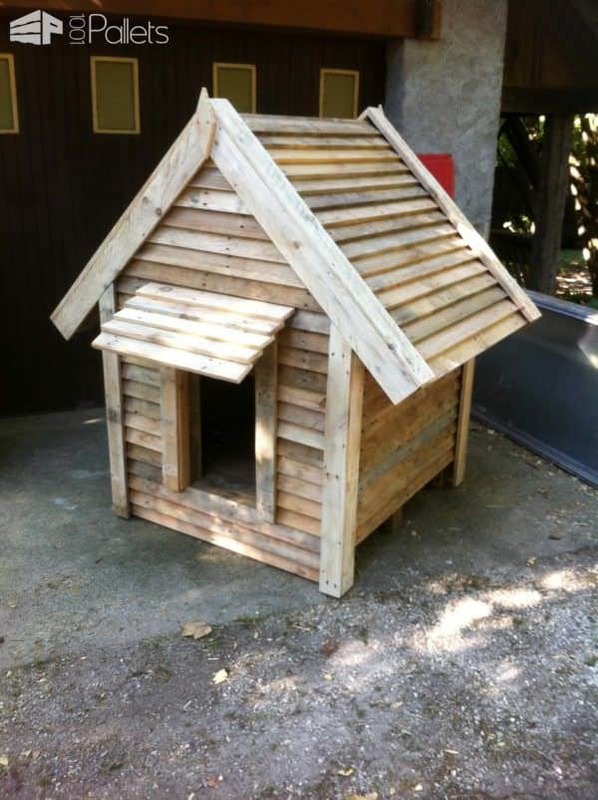 We built this lovely little puppy chalet with a steeply pitched roof, and a matching pitched awning. 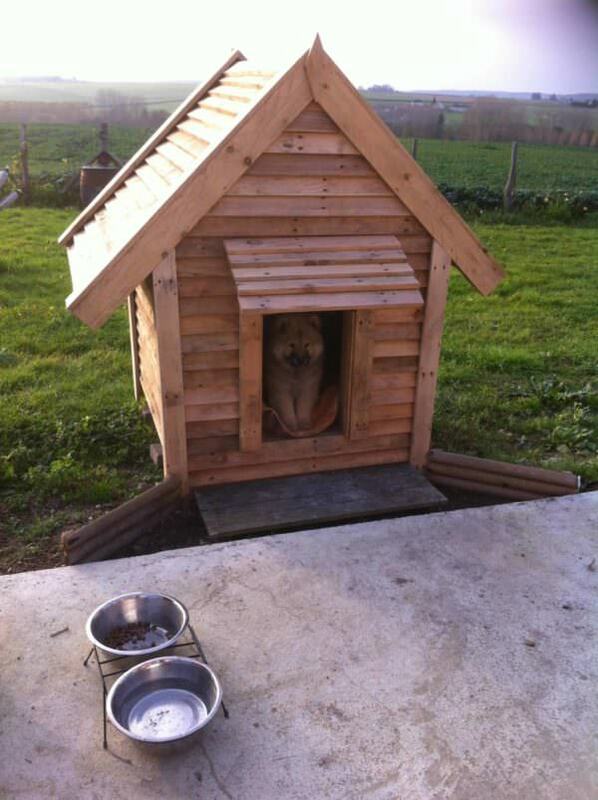 Additionally, we made the doghouse so that it is raised off the ground to keep our pooch dry in inclement weather. Next, we covered the sides and roof in overlapping pallet slats. We chose this style to give it that charming mountain cabin look. Decorative details are found everywhere, including the small diamonds at the peaks of the front and back trim boards. 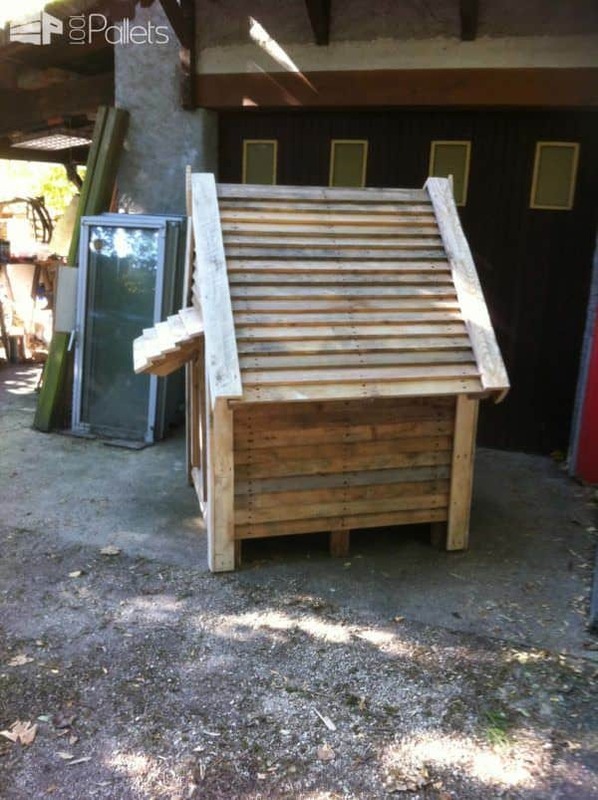 Cabane réalisé entièrement à base de palette 100x100cm. Editor's note: There were no inside shots to show the structure and framing of this build. 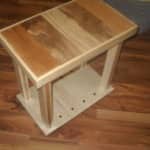 We found a similar resource at Georgia Pacific's page (the U.S. wood supplier), and they have lots of free plans - including a similarly-shaped dog house. You can clad the outside like this one, or make a more traditional style to your liking. 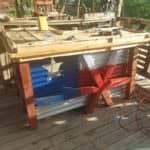 We put a link below the last photo to Georgia Pacific's Dog House Project DIY PDF Plans for you. Georgia-Pacific is a leading supplier of wood products, ranging from lumber, OSB and plywood, and composite panels, such as MDF, etc. 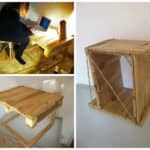 They also provide many DIY resources - check them out! We are not receiving any compensation, nor are we explicitly endorsing any products mentioned. This is for informational purposes only.